Blades of Glory: 5 out of 10. This film is super disappointing. Isn't Will Ferrell supposed to be funny? 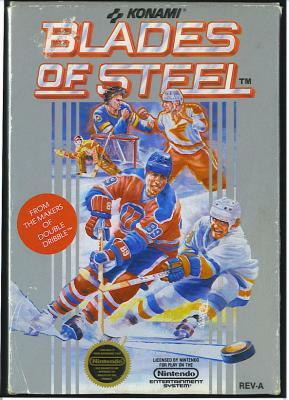 Much better than "Blades of Glory" is "Blades of Steel", the Nintendo game I adored in the late 80s. Fight! Also enjoyable was the fact that only the loser of the fight got dragged to the penalty box. This was actually the first non-Mario Brothers game I ever owned for the NES 8-bit. Come on you have to admit the line, "he put the bone in Zamboni" was pretty good! I think the movie was funny only because I watched it with my teenager and he found it a crack-up, which entertained me. Back in 1989 I ranked my 10 favourite NES games at the time. Ice Hockey was #4. I loved that game and I'd love to try it again with the Wii... even though it sounds like I'll be awfully disappointed. And SoccerMom, I think I chuckled a few times, but overall it was a really disappointing film, IMHO. Maybe I've just seen too many really funny films lately, like Superbad.